For decades now the go-to treatment for depression has been antidepressant drug therapy. Back in 1987, Prozac was introduced with much hoopla surrounding this “miracle” cure for treating individuals with major depression. Since then, the pharmaceutical industry has spawned dozens of SSRIs, SNRIs, TCAs, and MAOIs for the purpose of depression treatment. Why then are so many people still depressed? 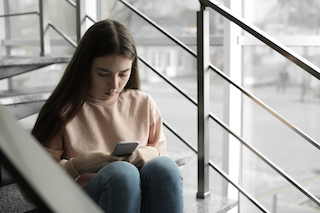 Rates of depression continue to increase among both teens and adult populations, according to a study from Columbia University. The findings show that between 2005-2015, depression rates rose from 6.6% of the U.S. population to 7.3%. Reliance on antidepressants for depression treatment has proven to be a bit overly optimistic. In fact, up to 70% of patients with major depressive disorder (MDD) do not successfully achieve relief of symptoms with antidepressants. Treating depression can be vexing, there is no doubt. With each patient who battles the debilitating condition come a myriad of factors that have influenced it. Genetics, brain chemistry, biology, hormones, past trauma or abuse, grief and loss, and a host of other contributing factors make each person’s depression make-up to be unique. Because of the wide variety of causal factors, the medical field continues to be challenged to find the magic bullet cure. Even for the individuals who are able to experience some relief of the symptoms with drugs, a laundry list of adverse effects from the medications often plague those patients. Side effects such as weight gain, blurred vision, nausea, sexual problems, constipation, and insomnia can cause many to discontinue the medication. Because such a significant number of MDD patients find no relief with antidepressants, finding new alternative avenues to treating medication-resistant depression has been of paramount importance. Psychotherapy, also referred to as talk therapy, is a treatment staple for MDD, usually paired with antidepressant therapy. While talk therapy has been a constant in depression treatment for decades, clinicians are now finding that the therapeutic results of talk therapy are enhanced when paired with transcranial magnetic stimulation (TMS). This drug-free treatment combination for depression is a welcome development for helping frustrated patients with MDD who were not helped by antidepressants. TMS therapy was first FDA cleared for use in 2008 after numerous clinical studies demonstrated its safety and efficacy for treating medication-resistant MDD. TMS is a noninvasive brain stimulation technology that uses electromagnetic induction. The fully alert patient relaxes in a comfortable chair for the 40-minute sessions while a coil placed on the scalp delivers magnetic pulses that penetrate the brain up to 2cm. TMS therapy targets the area in the brain known as the limbic system, the region that controls emotions and mood. In depressed patients it is often found that the nerve cells in the hippocampus are atrophied or sluggish, so the electrical currents induced by the magnetic fields can stimulate or wake them up. Over a period of weeks, TMS therapy has the potential to renormalize this brain chemistry, and that has a positive effect on mood, showing a promising TMS Therapy success rate. Unlike antidepressant therapy, TMS therapy is very well tolerated. There is no sedation involved, removing any risks associated with anesthesia, and allowing the patient to immediately return to normal daily activities. Some patients have reported headaches or scalp tenderness, but both of these being transient effects and resolve spontaneously over the course of treatment. TMS has been, and continues to be, studied in clinical trials globally. A succession of studies have demonstrated TMS results to be statistically significant in both response and remission rates. In addition, TMS therapy has been shown to be a safe treatment option for MDD. There is evidence that TMS therapy for anxiety is showing positive results, and is an area of study that is ongoing. Patients undergoing treatment for depression using TMS, who also have an anxiety disorder, have discovered that both the depression and the anxiety symptoms improved during the treatment period. Talk therapy involves a licensed psychotherapist who engages in eliciting important information from the patient regarding any issues, past emotional pain, past traumas, family history of depression, and other potential factors related to the MDD. The duration of the talk therapy sessions is determined on a case-by-case basis as well as the particular type of therapy used. For example, psychodynamic therapy tends to be a longer-term modality that delves deeper into the past and the subconscious. For the treatment of depression, cognitive behavioral therapy (CBT) and has been shown to be highly effective. With CBT, the therapist works with the patient to help them identify certain disordered or irrational thoughts that then lead to the feelings of worthlessness and despair associated with MDD. These negative thoughts can then lead to feeling unmotivated to get out of bed or to socialized, only making the condition worse. CBT aims to replace the negative thoughts and defeatist behaviors with productive, positive ones. CBT is a short-term therapy that times nicely with TMS therapy. Another short-term therapy for depression is interpersonal therapy (IPT). IPT can help patients target interpersonal issues or relationship problems with family or peers that may be contributing to the persistent depression. IPT therapists work collaboratively with the patient to help them make necessary adjustments in the ways they interact with others, leading to healthier social functioning and a reduction in depression symptoms. Pairing TMS therapy with talk therapy adds both therapeutic dimensions that are intrinsic in combating persistent depression. The physiological impact of TMS on brain chemistry has the potential to reset the neurons to normal functioning. This is a game-changer, as, over the 4-6 week treatment period, the patient will regain their energy, notice improvements in concentration and memory, and experience overall improved mood. The psychotherapy component of treatment helps the patient identify faulty though patterns or beliefs that have become infused into behavioral responses that keep the patient stuck. Through short-term talk therapies such as CBT and interpersonal therapy, or long-term psychodynamic therapy, the patient will learn new ways to sort out and evaluate formerly held assumptions and learn how to respond differently. After practicing the new responses over time it will have a positive impact on daily life. Suzanne Jessee, Founder and C.E.O. of Anew Era TMS is a TMS industry expert. Suzanne is a master’s level clinical therapist and addictions counselor with nearly two decades experience in chemical dependency patient care. Her passion for improving patient’s mental health and her expertise in TMS Therapy technology and business make her a leader in the TMS patient services industry. In addition, Suzanne is a published author, PBS show host, educator, and facilitator.